As we age, one of the biggest concern in time would be to prevent hair fall. In my case, being in my mid-twenties, I must admit that stress makes my hair shed a lot. Now the good news is that hair will start growing again once you recover from the situation, and it always helps if you have something to encourage growth in your hair. Introducing HairMax+, a brand that i've been using for the past 2 weeks that makes my hair grow effortlessly while preventing hair fall. And because HairMax was generous enough, they decided to give me a discount code for you which i'll include at the end of this post. So keep on reading guys! In today's blog post, I would like to share with you a review of two products by HairMax+. I will be featuring two products namely, the HairMax+ Growth Tonic and the HairMax+ Anti Hair Fall Serum. Both these product compliments each other really well, and if you're here to check on my results, then I must clarify to you that the results are what it is because I constantly used these two products for about 2 weeks. 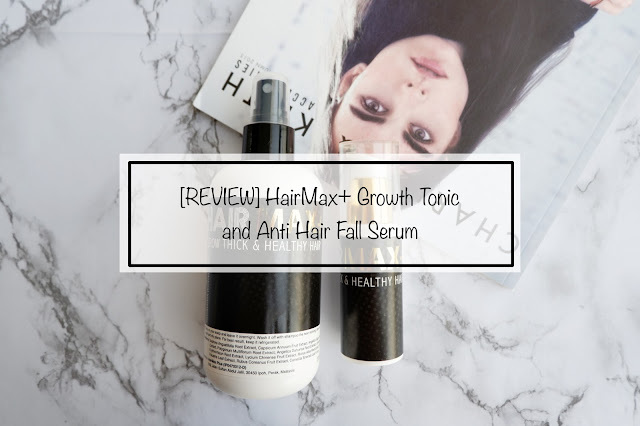 The HairMax+ Growth Tonic is made out 100% natural ingredients which to me is pretty amazing as not many hair tonic products would avoid chemicals. The tonic claims to fight hair loss and encourages the growth of new hair. It also helps to prolong the active growth phase of hair to extend their life-span while boosting the scalp micro-circulation to stimulate the growth of healthy hair. Sounds awesome? Wait till you hear about how easy it is to use! When I personally gave it a go, as a first impression I must say that the formulation does smell a little pungent, but after a while, you might get used to it as the scent eventually fades out. There's actually 2 versions of this Tonic which one comes in a Strong Formula (RM115/150ml) and the other in a Medium Formula (RM65/150ml). The one that I'm using would be the Strong Formula which encourages better results of hair growth. It comes in a spray bottle for easy handling to spray the roots. To use, all you need to do is to spray on scalp 1 to 2 times daily and at an estimated of 2 to 3 weeks to actually see results. The instruction says that its best that you spray the tonic in roots for at least 2-3 times daily. With just a simple spray onto your scalp, this toner would regulate and balance your scalps pH level too! From the looks of my scalp, I realized that I have more baby hair growing (YAY) and it compliments the serum really well. Now, I must admit that this would be my favorite product from HairMax+! (only because for some reason I'm more constant in using this rather than the toner. Guilty as charged!) Now, this is the total opposite of the Hair toner, as it has a pleasantly relaxing scent of coconut and lavender oil. LAV! Its entirely made out of 100% out of natural ingredients and its purpose is to reduce hair fall by 90%! Awesome! Has a liquidy oily texture. I've been using this for roughly 2 weeks now and the results are remarkable! Based on my research on their website, what it does is that it blocks DHT hormone at scalp area and at the same time reactivates inactive hair follicles while accelerating hair growth. 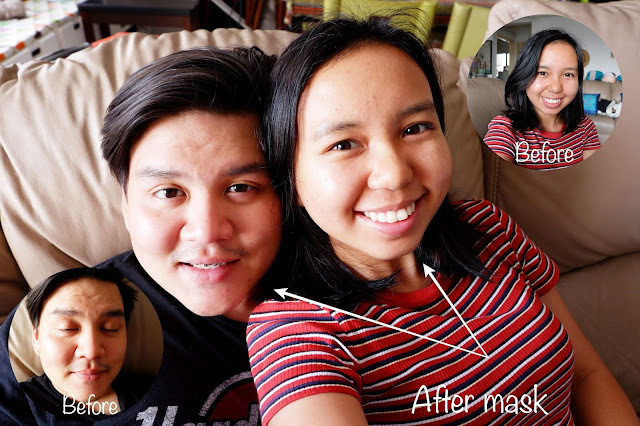 I cant guarantee too much on the acceleration of hair growth, but I must say that it did make my hair softer and it really did reduce my hair fall with obvious results! I promise I'm not kidding. What are my thoughts on the HairMax+ ? Check out my baby hair! And there you have it! I hope you found this write up helpful, and if there is by any chance that you have any other questions, please feel free to email me or leave me a comment below and I'll try my best to get back to you soonest! Also, if you would like to know more information on HairMax+, I've linked their official pages below for your convenience.